On a winterish Sunday that seemed far less restful than the biblical imperative would dictate, most Cardinal fans were riveted on the employment changes in the Schnelly Football Complex. You know that to which I refer. Meanwhile there was some truly nifty stuff going down in Cary, North Carolina. In what was essentially a home match for the opposing #4 Tar Heels, the University of Louisville futbolers won their first ACC Men’s Soccer Tourney Title. Cherif Dieye booted the game’s only goal into the netting from 12 yards out 29 minutes into the match. The Cards D held strong the rest of the way. 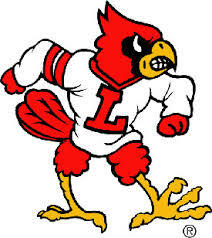 Sunday’s W capped a wondrous eight day run for U of L. The Cards gave up but a single goal in victories over three top 20 foes (2 in Top 10), #18 Notre Dame, #4 Carolina and the country’s top ranked squad, #1 Wake Forest. Five Cardinals made the All Tournament team. In addition to Dieye, Lamine Conte, Ziyad Fekri, Jake Gelnovatch, and MVP Tate Schmitt. Louisville’s seeding and path to a conceivable national title will be revealed Monday. The ACC, easily the strongest league in the land, is expected to have at least 8 or 9 schools in the field of 48. It’s not just locally that fans and pundits alike are taking note of the sordid state of U of L football. 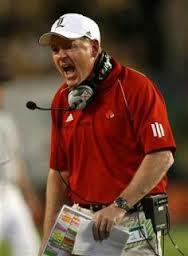 Louisville’s Bobby Petrino. Things are quickly deteriorating for Louisville. 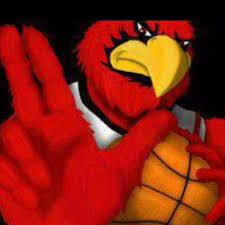 After a 27-3 drubbing at Virginia, the 2-2 Cardinals are tied for 123rd nationally in scoring offense (17.0 ppg). Petrino was already facing questions before the season about a staff that includes his son, two sons-in-law and retread Brian VanGorder as his latest defensive coordinator. The inept start isn’t helping. Wasn’t Petrino once considered “the next offensive savant”? Correct answer: Yes. But that seems long ago, far away these dark days. Well his Cards have scored, count ’em, three offensive points — 3 — in the first half this season. Those came in the waning moments against WKU. They went ofer the opening half against Bama and UVa. And scored on Rodjay Burns pick — on blown coverage it turns out — against Indiana State. Doc called last Saturday morning, asking if I’d want to join him at the U of L open hoops pick up games at the Yum! practice facility. Of course I wanted to, but had another obligation. That afternoon I checked back for the observations from my man courtside. Doc’s an astute observer of all matters hardwood. He used to work out Cardinals during drills before practice when Denny Crum was in charge. Mystery was solved a couple of days later when Texan Jaelyn Withers pledged to the Cardinals. Sooooooo, Chris Mack, who has yet to coach his first game wearing a red tie, seems to be hitting on all cylinders so far. Opening up these Saturday pick up games is a brilliant move. And the hundreds of fans that showed up to watch the other day obviously impressed Withers. Three legit commits. An energized fan base. Sometimes I wonder what I’m a gonna do/ But there ain’t no cure for the summertime blues. Actually the whole point of this late July sports catch up — just to let you know that Seedy K hasn’t retired — is that there are cures for sports fans in the heat of summer. Buuuuut, I love me some Eddie Cochran (And The Who’s “Live at Leeds” version of the tune if that’s your reference point), so I had to throw in some rock & roll, don’t ya know. Anyway, as I accelerate ever more swiftly into my dotage with the attendant cognitive life changes attendant, it’s nice to report that I’ve discovered a situation where my memory loss is actually an advantage. Though I loved Wimbledon, cherish the coverage of the Tour, must admit to having caught a moment or two watching the Coming of Lonzo in Vegas, and have the final round of what I am required by the specter of Old Tom Morris as well as Royal & Ancient British Golf Authority to call The Open (Not British Open), I remain first and foremost a college sports fan. Gimme a pigskin Saturday, or Friday or Thursday or Tuesday; or a hardwood Sunday afternoon from the Carrier Dome or Cameron Indoor, and I’m a happy camper. Not to mention that such status places me firmly in the majority of sports fans in my neck of the woods, who love the college games. Okay it’s a glorious time of year. Bowl games. Conference play begins. NFL playoffs. And the Holidaze, which means lots of parties, extra time for cookies in the coffee room at work, hanging out at night with pals. 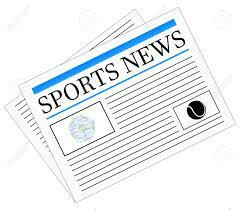 Lots o’ time for sports talk. 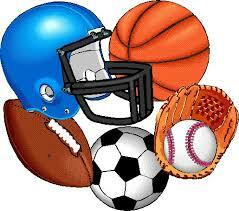 And, bottom line, sports fans, even those who love the same team or school, love to argue over this or that. The Louisville Cardinal faithful are no exception. 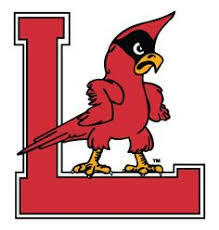 So, I got to thinking what could spur U of L fans, or even those who just observe Cardinal sports dispassionately, to some serious back and forth. Standing in the taco line next to U of L’s then new, recently anointed head coach at 2003’s Football Media Day, I attempted to engage Bobby Petrino, mentioning some imbroglio or another taking place at Auburn, where he’d been OC the season before. Fast forward to this Saturday past, at this season’s beginning of practice meet and greet with scribes and talking heads. Petrino is a different person. After his Belknap Campus abdication for a self-shortcircuited stint in Atlanta with the Falcons, his successful on-field performance and peccadillo engendered meltdown at Arkansas, a season in exile, a season helming the Hilltoppers in Bowling Green, and a Tom Jurich rapprochement rehire at Louisville, Bobby P appears finally at comfort with himself. Walking to the mic, he waved at a photographer, joked with good nature how quiet the room was, and hurled a gentle barb at one of the assembled writers. When asked how much freedom QB Lamar Jackson would have this season, Petrino smiled a totally different grin than the one a baker’s dozen years ago, this one warmer, confident, with a wink. Yeah, I’m back. Miss me? You think I’m really going to try and talk European soccer with you, France vs. Portugal for the title, or Tour de France, or Wimbledon? Of course not. Though I’ll reiterate, NBC bike race announcers Phil Liggett and Paul Sherwen remain my favorite announcing duo in any sport. What you care about is who’s hot at the Peach Jam? You know, basketball recruiting. Well, I’m not going to talk about that either. Golden State with Kevin Durant. 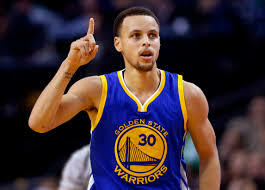 Of course, the buzz is, how many titles are the Dubs going to win with their New Death Lineup? And all I’m thinking is, how come you guys never listen? Have you not learned yet that the best conglomeration of players does not necessarily the best team make. Let me remind you once again, as if I haven’t already ad nauseum every time talk of a super team comes up. Lesson #1. 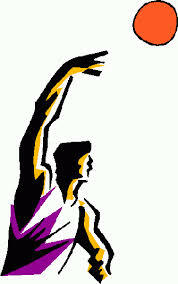 Los Angeles Lakers, three seasons from 1968-71. Three players on that team were among the very best in the NBA at the time. In fact, those three players remain among the Top Ten guys who balled in the 20th C.
So, you remember me, right? Your resident point guard, Seedy K. Well, I’m back after the usual early spring hiatus. Why the disappearance, you might wonder? Well, first there was my annual bout of PMMSD (Post March Madness Stress Disorder). Then Jordan Spieth’s meltdown in Augusta, which had me wondering if anything meant anything anymore in the world of sports. Then eight days in New Orleans for JazzFest, and too much great music and equally delicious eats. Then the announcement that Dylan, the Stones, McCartney, Neil Young, the half the Who that’s left and whatisname from Pink Floyd will be gigging together in Cali come October for the Mother of All Oldies Shows. They’ll be more than glad to relieve you of the entirety of your IRA as a down payment on tickets, which can be purchased over time at low interest rates. But, the Cavs are on the cusp of dominating the NBA, while the Spurs are showing their age. Little Richie Farmer, who had the governorship by the short and curlies had he any sense and moxie at all, has filed bankruptcy post-prison term, and is getting by with help from his parents. Gulp. There are some monster stories this springtime. Jordan Spieth’s meltdown at the 12th. Steph Curry’s emergence as the best baller in hoops. Along with his Dubs emanation as one of the best pro outfits ever. Trevor Story’s 25 or so homers for the Rockies in his first handful of games in the Bigs. There are a couple of other trends, but they’re probably of interest only to me, a child of Motown. Those would be the Pistons making the NBA playoffs. And the Red Wings backing into the post season like Nicklas Lidstrom, covering a short-handed breakaway counterattack at the Joe. And then there’s the story that really trumps them all, a fascinating bit of sporting history unfolding as never before. But I’ll save that one for last. Otherwise, you might click away for lack of interest. It has been argued by many that hitting a baseball off of major league pitching is the most difficult single task in sports. The hits just keep on coming for the State University of New Jersey. The regime of Athletics AD Julie Hermann, formerly of U of L, can’t seem to move beyond beleaguered. The latest imbroglio concerns football coach Kyle Flood. It is reported that Flood sent an email from a personal account to the professor of one of his players, whose academic standing might have been, shall we say, precarious. You know, it’s not like this doesn’t happen all the time. But the sly schools, the ones with a sense of how to take care of such matters, don’t leave a digital trail. Speaking of coaches who want to run with the big boys, I gotta reiterate this question people are asking.